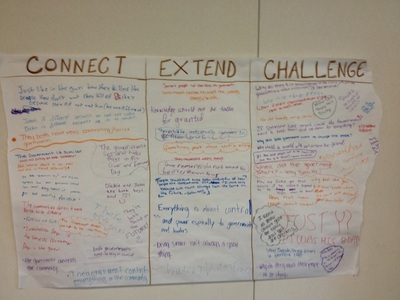 A routine for connecting new ideas with prior knowledge. 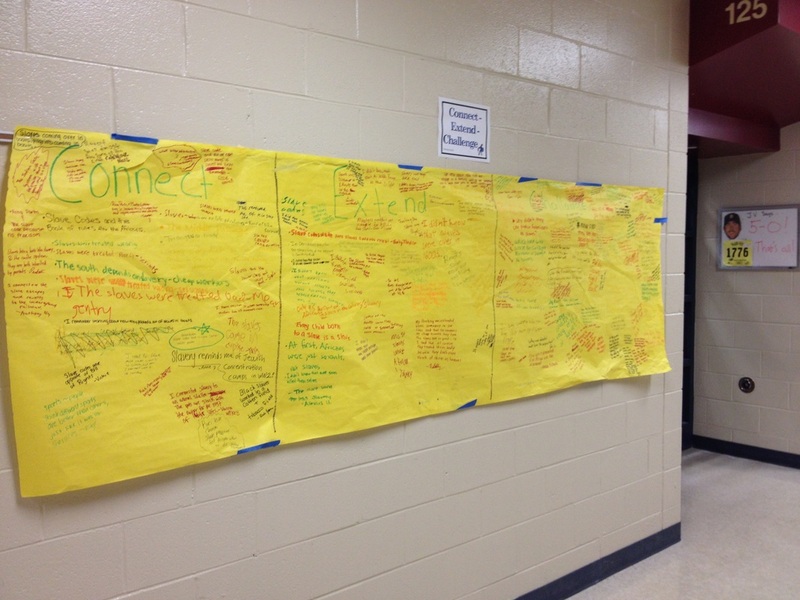 This thinking routine provides a space and structure where new thinking can be visual to help students connect new ideas with ones that they already have, reflect upon how they have broadened their thinking, and find what challenges them or their thinking from the text. This strategy will demonstrate to the students that ideas and information can connect to other subjects and topics that they already know, thus getting the students to think in new ways or to question assumptions. Refer to pages 132-139 in the book Making Thinking Visible: How to Promote Engagement, Understanding, and Independence for All Learners. 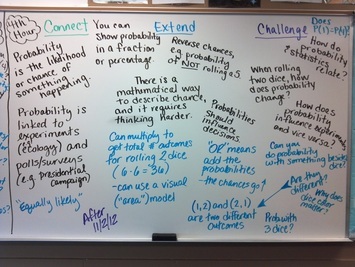 "I use Connect-Extend-Challenge with my probability unit in Intro to Statistics. 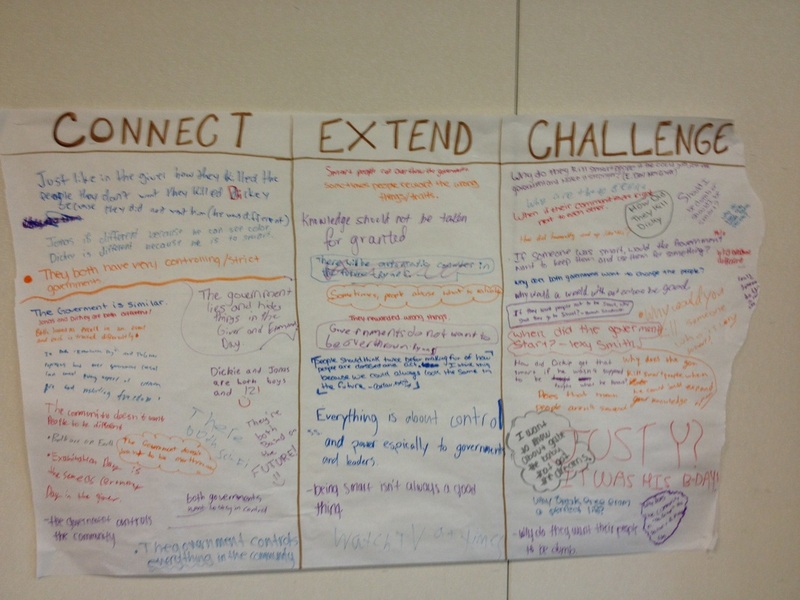 I ask students to complete a Connect-Extend-Challenge exit problem each day, then after reading the students thoughts I decide what to put on the board myself (illuminating the common themes and particularly insightful thoughts). 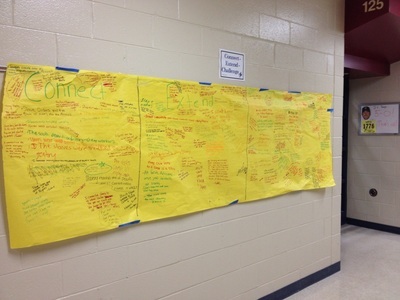 I eventually move to also using poster paper, especially for the Connect thoughts, since some of those thoughts early on are still valid as we progress through the unit."